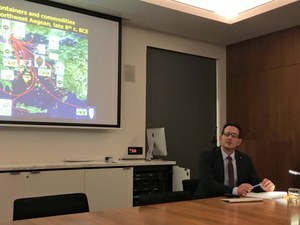 Each year the Australian Archaeological Institute at Athens brings to Australia an academic who undertakes a lecture tour to all Institutional members across the country. 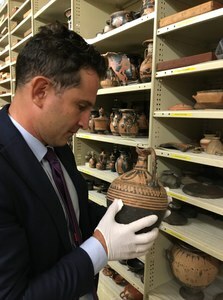 From its foundation in 1987, the AAIA Visiting Professorship has been held by many distinguished archaeologists of ancient Greece and Rome. I am deeply honored to take up this role for 2018. I will be touring Australia from August 6 to September 14, visiting 10 different cities. The tour involves giving a total of 26 lectures and seminars on 8 different topics, addressed to specialist and non-specialist audiences. I look forward to visiting Australia and learning more about this amazing country and interacting with scholars, university and school students, members of the AAIA, and the wider public.